Are you looking to sell your Mini Cooper or any other Mini model? We will buy your Mini regardless of the age or mileage of your car. 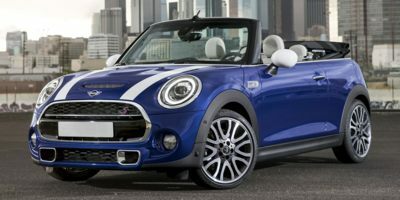 We buy all models of Mini Coopers with no hassle and pay immediate cash for cars. There is no better, safer or more effective way to sell your Mini. Our experienced Mini customer service staff will assist you throughout the simple process. Just enter your Mini vehicle details online for an instant quote and valuation. We pay fair Mini book prices for any Mini car whether it is new or old. Don’t delay by listing your Mini in a classified advertisement. Don’t waste time making test-drive arrangements for people who will offer you a price that is lower than it’s worth. Sell your Mini to us today. The concept for the Mini was created from a shortage in fuel availability due to the Suez Fuel Crisis. The Mini brand car has been around since 1959 under the name Austin and Morris. These were the Mark I Minis, which came into mainstream popularity during the 1960’s when musicians and movie stars were seen driving these unique cars. Their distinctive appearance and economic fuel consumption makes them a great bargain. Minis are the ideal automobiles for city living; with its small structure and easy-to-maneuver design it can slip into any narrow street or parsing shortage. During the 1980s and 1990s the Mini was available as a limited edition and but came back to full production in 2000.